Each stop along this fast-paced, informative tour has cool giveaways plus a raffle with an Amazon Echo as the grand prize! Learn about library resources and services that can help with your classes. Join us from 1-3 p.m., August 21 in Bartle Library. 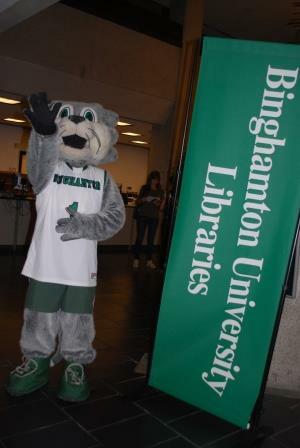 This entry was posted in Bartle Library, Binghamton University Events, Blog, Events, Libraries and tagged libraryhomepage, news, orientation, Undergraduate Students. Bookmark the permalink.